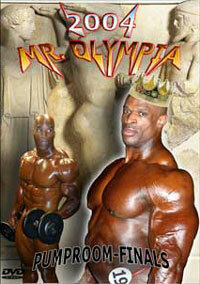 DVD version: See Ronnie Coleman's amazing victory over Jay Cutler - by just three points. 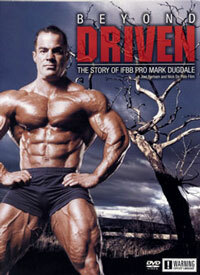 You'll also see the controversial new Challenge Round. Is it worth all the hoo-haa ..... or not? See for yourself. 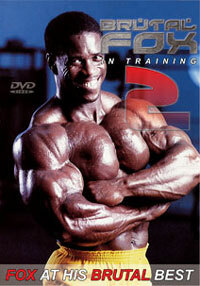 Ronnie Coleman survives the first-ever "Challenge Round" with live judging in front of the audience! It all came down to the final pose. 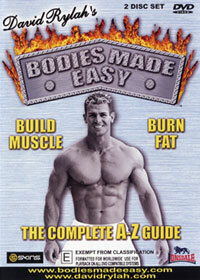 Jay Cutler behind by only one point - 21-20 with the chance to win 2 points and become Mr. Olympia. 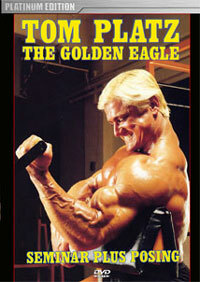 But Big Ron prevailed with his gargantuan physique, and even survived several "abs & thighs" pose challenges. 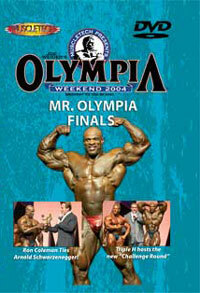 Also see the outcome of Gustavo Badell-Jackson battle as he reverses his position with Dexter Jackson to take 3rd place. 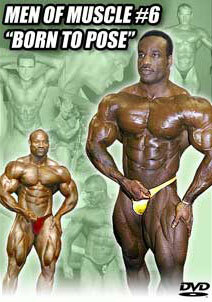 Will Gustavo be a future winner? Only time will tell. You'll see the entire Challenge Round, hosted by WWE's Triple H, plus an introduction by Sylvester Stallone and a speech by Arnold Schwarzenegger. A star-studded night. 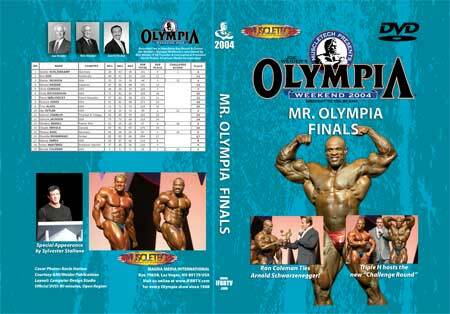 The pump room DVD of the Mr Olympia Finals is also available, click here. 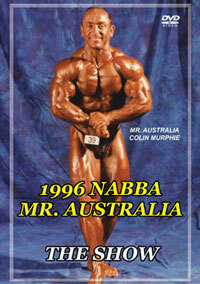 Click here for the 2004 Mr Olympia Prejudging DVD, PCB-1088DVD. The new 'Challenge Round' was introduced, changing the way the final top six were scored in the last round. The top six competitors scores were discarded after round three, and only the final round mattered in who would win. In the new format, Dexter was the loser, and Gustavo was the winner. The difference was worth $10,000. Ronnie still was the clear winner.